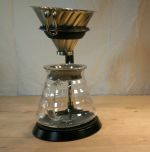 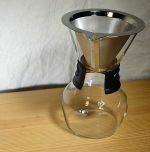 The Hario Buono is an attractive drip filter pour-over kettle which will add accuracy and style to your coffee making. 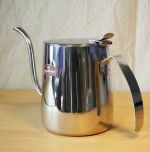 This Hario Buono kettle is labelled as a 1 litre volume, but has a 600ml practical capacity if boiling on a stove. 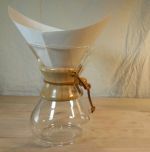 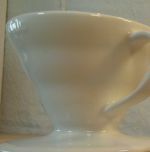 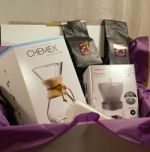 It is ideal for making two to three large cups and its fine goose-neck spout makes it much easier to take your time pouring water onto the coffee grounds(which helps it bloom) as well as helping to give a more precise delivery. 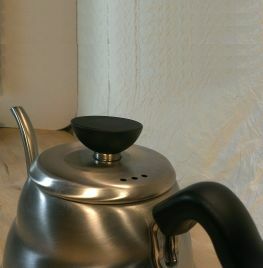 The Hario Buono kettle can be used to boil water on Induction, Gas, Electric and Halogen hobs. 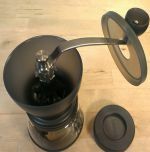 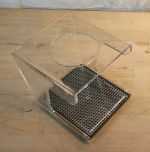 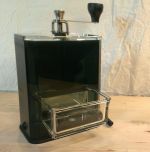 Or fill with pre-boiled water straight from the mains kettle to use simply for its excellent pouring capabilities. 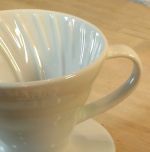 It just happens to be stylish too.